The Missoni Summer 2019 campaign is out. The dreamy campaign stars top model Gisele Bündchen and European alternative rock singer Tamino Amir Moharam Fouad. Both models were shot by Harley Weir for the campaign under the creative direction of Angela Missoni. Playing with nocturnal lighting of space, stars and planets that dance over ethereal backgrounds, to animated desert landscapes feature sand dunes and craters with reflections of stars. Known for whimsical, flowing fashion, the dresses are framed in ruffles and gossamer knitted mesh or iridescent draped lamé over Gisele. 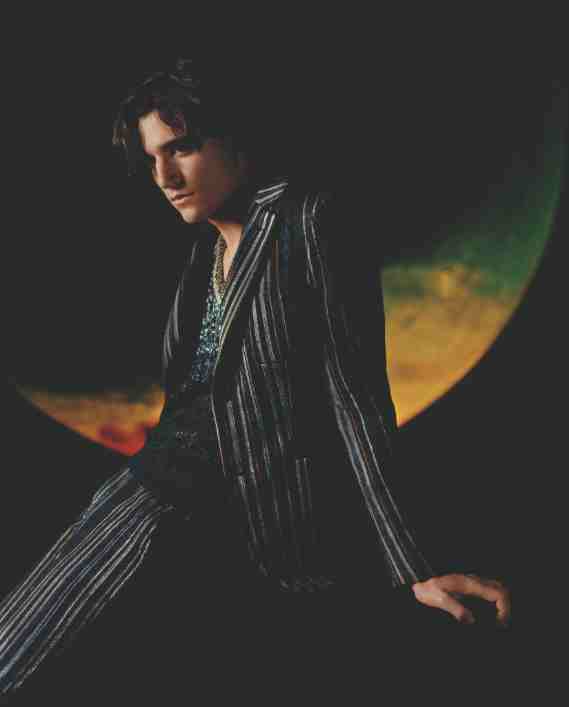 Meditative Tamino wears suits in loom-knit or woven fabrics with grosgrain-like textures as he contemplates the obscurity of space.